Go local! Why more patients are choosing to have their surgeries over instead of under. Micro facial fat grafting! The new Juvederm? Botched or Board Certified? You Choose. Power Assisted Liposuction – Why Board Certified Plastic Surgeons Prefer This Technique! Don’t Let your Neck Give Away your Age! Feel great about your appearance at every age. Beautifying your belly button…is this even possible? Liposuction: Does the Fat Come Back? Not All Doctors are the Same! With so many different terminologies out there, it can be difficult to determine who to trust when it comes to cosmetic plastic surgery. 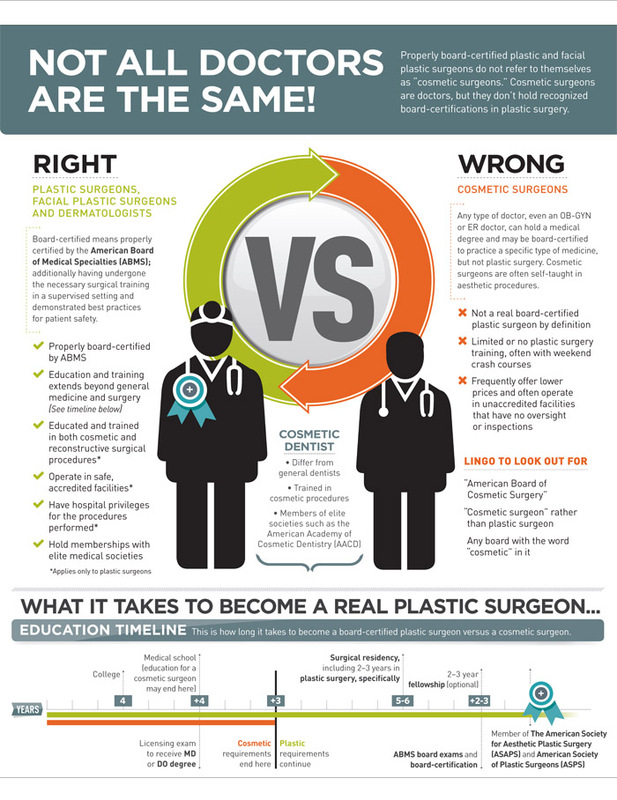 Is a “Board Certified Cosmetic Surgeon” the same as a “Board Certified Plastic Surgeon”? This one-sheet infographic from NewBeauty Magazine summarizes the key differences. Click to download complete PDF. Eyelid Surgery: Give Droopy Eyes the Boost! Plastic Surgery: What’s in it for Men? Mommy Makeovers: Get Your Confidence Back! Neck Band Rejuvenation: Ditch Your Scarves! Coolsculpting: Is it Really that Cool?